The all-new, live stage production, “Mickey and the Magical Map,” debuts this summer at Disneyland park, and today I’m excited to be able to tell you a little more about the show and what you can expect to see when it opens! 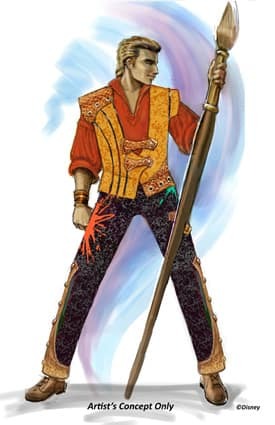 The show begins with the timeless character of Yen Sid, the wise sorcerer from Disney’s classic “Fantasia,” who appears within his mysterious workshop to tell us of a wondrous map with the power to take dreamers to any place imaginable. Yen Sid sets his mapmakers to work painting the enormous map – a map so large it covers the entire breadth of the stage. This is when our hero Mickey Mouse enters, full of curiosity, and dreams of being more than just an apprentice. He’s a bit of a rascal and doesn’t realize what he’s about to get into. When Mickey picks up a brush to paint the map’s one unfinished spot, he soon discovers this is no ordinary map. That’s when his adventures really begin! The mapmakers are an ensemble of male and female performers who excel at singing, dancing and acrobatics. They wield enormous, magical paint brushes as they follow Mickey on his journey, helping bring to life fantastic worlds of music, color and beloved characters. “Mickey and the Magical Map” will be presented in the newly-refurbished Fantasyland Theatre, a venue that merges the tradition of live outdoor performances with the latest in theatrical technology. This is Disney storytelling at its most thrilling, brought to life in the very heart of the most magical of lands, Fantasyland. Wow! This will be as good as Animazement! Thanks for this peek into the show! Its going to be awesome to have a show at the Fantasyland Theatre again. There will certainly be a lot of excitement at Disneyland this summer! I cannot wait for this show! 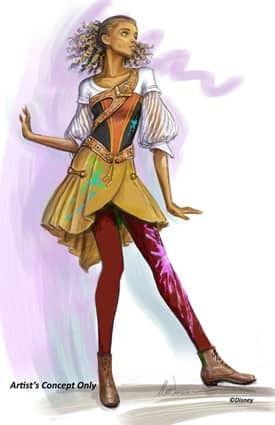 I start tearing up just looking at the concept art piece featuring Rapunzel, Flynn, Pocahontas and Mulan. I can’t imagine this show not being as amazing as it looks!!! Loren – I agree! It’s shaping up to be pretty great. Can’t wait to see the show. Hope it’s opened by the time I go to Disneyland in August. I have a question–Once the Fantasyland Theatre re-opens with this show, with the food service area that sold those amazing baked potatoes and corn on the cob located right next to it re-open as well (or is it already open again; I haven’t been to Disneyland since last year)? Thanks. Lauren – “Mickey and the Magical Map” will be open this summer, definitely in time for your August trip! I can also tell you the Troubadour Tavern is expected to reopen with the Fantasyland Theatre. No word yet on their menu, but those great baked potatoes are available now at Harbour Galley near Critter Country! @Dennie – Yen Sid was the official name of the Sorcerer, from Fantasia. I just cannot wait to see this!!! Is this the theatre where they had the Princess meet and greet? Daniel – Yes. Until August 2012, this location was home to Princess Fantasy Faire. The Disney Princesses are currently appearing along the Royal Walk in Fantasyland and anticipating the March 12 opening of the all-new Fantasy Faire near Sleeping Beauty Castle. Yen Sid = Disney backwards! This sounds like great fun. Brett – It’s still a bit early in the process for video. In fact, they’re just holding auditions for the show a little later this month, and it will go into rehearsal once everyone has been cast. We’ll be sharing much more about the show, including some of the other characters Mickey will meet, as we get closer to the opening. Do you have a specific date set or do you know when you will have one? Matthew – The show will open in early summer. 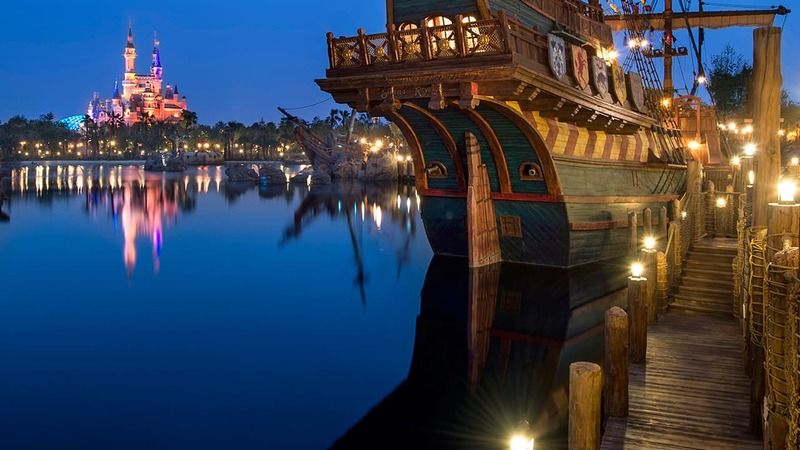 We’ll be sure to post the exact date here on the Disney Parks Blog, as soon as we know it!